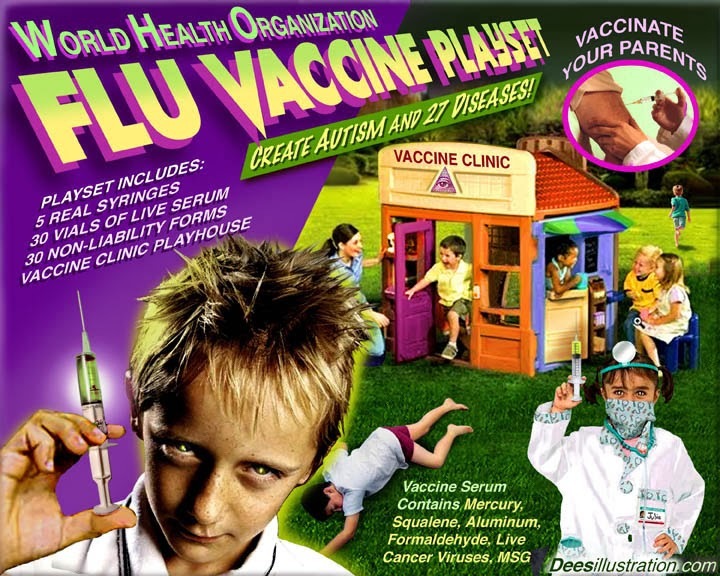 With the latest round of hysteria regarding the prevalence of the annual flu season and the “need” for the flu vaccine in full swing, one unaccustomed to reading the details of government statistics and the arguments for or against vaccination might justifiably be terrorized into running to their local vaccine dispensary and rolling up their sleeves. Indeed, the average person encountering the reports of infection, hospitalization, and death will justifiably be stirred into a frenzied state of panic. The vaccine makers, pharmaceutical companies, and their representatives also known as medical doctors, are, of course, waiting with open arms and needles locked and loaded. With statistics such as “hundreds of thousands” of infections and “tens of thousands of deaths” by the flu virus being repeated ad nauseam, it is understandable why many hapless individuals rush to take toxic vaccines unaware of the hazardous ingredients they contain. However, what is scarcely examined is whether or not these numbers quoted by mainstream media outlets and the medical industry are, in fact, accurate. Indeed, in most cases, these numbers are simply repeated by various players with little or no adequate challenge ever mounted against them. Yet, upon closer examination, the statistics being repeated by these outlets are revealed to be nothing more than propaganda. While the flu virus might not be something to ignore, the truth is that the apocalyptic predictions and bio-panic reports constantly shoveled out to the American population are much smaller both in terms of infection and mortality rates. These vastly reduced amounts of infection are clearly evident when one evaluates the actual numbers of infection confirmed to be caused by the flu virus itself. Unfortunately, the majority of individuals who manifest these symptoms and who make a trip to their medical doctor are diagnosed with the flu, with no further testing to confirm this diagnosis. Thus, while medical doctors and their patients might believe they are witnessing an influx of flu patients, the reality may be that none of these individuals actually have the flu, but, instead, they may be infected with a flu-like illness. For instance, one need only take a look at the statistics compiled by the CDC (Centers for Disease Control and Prevention) to understand that the flu is not the culprit of an annual genocide lurking behind every corner and on the hands of every sniffling person. The following data lists the year, the number of tested cases of sickness, and the percentage of those tested that turned up positive for the flu, respectively. Clearly, as one can see from the data above, the hype surrounding the flu virus is hyperbolic to say the least. The worst flu season in 15 years yielded just a 22% infection rate, while many of the other years yielded significantly below that. 2002-2003, for instance, only had an 11% infection rate. Thus, for the last fifteen years, the flu infection rate hovers around 15%; meaning that approximately 85% of the people who believe they have the flu or are diagnosed with the flu, do not have it at all. These statistics mean simply that 85% of the population diagnosed with the flu actually have a flu-like illness, not the flu itself. Also note that the years with the highest rate of infection (2009-2011) were the two years of and immediately following the H1N1 Swine Flu panic that resulted in the mass vaccination of millions of people the world over. Considering that the potential for the seasonal flu vaccine was demonstrated to actually increase susceptibility to the H1N1 Swine flu, one would be justified in wondering whether or not it was actually the vaccine that caused the slight uptick in infection rates for those years. Nevertheless, since the virulence and spread of infection of the flu is vastly lower than what is claimed by the medical industry and media outlets, the question then becomes whether or not the virus is particularly deadly when one is actually infected by it. Thus, it is once again important to look at the numbers. The official statements coming from the CDC claim that, on average, 36,000 people die each year from the flu. 36,000 is indeed a frighteningly large number, despite the fact that they themselves strike a stunningly low number of the population as a whole. However, there are once again issues with the actual numbers of flu deaths when those numbers are broken down. First, it is important to remember that flu deaths are lumped together with pneumonia deaths every year. Second, it is also known that flu deaths are often statistically combined with flu-related deaths for propaganda purposes. Much like intentionally confusing the cases of the flu with cases of flu-like illness, compounding flu deaths with flu-related deaths or pneumonia deaths, serves only the purpose of causing panicked stampedes toward vaccination by the general public are being assaulted with the massaged and manipulated numbers. By lumping flu and pneumonia deaths together, the propagandists in the medical and pharmaceutical industries as well as in corporate media outlets are able to provide a number in the realm of staggering proportions, somewhere in the range of 50,000 to 60,000 depending on the year. Yet, in order to determine how many individuals were killed by the flu as opposed to pneumonia, a separation of the numbers must take place. Thus, if the medical industry’s claims of approximately 36,000 dead from the flu each year are true, that would mean that slightly to well over half of the initial total of 50,000 to 60,000 provided would have been caused by the flu itself. This assumption, however, is wholly incorrect as it rests on the factual accuracy of the CDC’s claims of 36,000 dead from the flu every year. To be fair, medical researchers claim the reason they lump flu and pneumonia deaths together in their final reports is due to the possibility of secondary pneumonia infection as a result of the flu. However, as mentioned above, it is quite possible to tell whether or not the deaths recorded were due to pneumonia as well as whether or not they were flu or flu-related. With these numbers in mind, if we take the 60,000 deaths estimated to have been caused by Pneumonia and Influenza, the death rate would hover at or around only 5100 (slightly more or slightly less), not 36,000. Keep in mind, even the term “influenza-related” is a very loose and statistically generous term. The CDC defines “influenza-related” by stating the following: “Seasonal influenza-related deaths are deaths that occur in people for whom seasonal influenza infection was likely a contributor to the cause of death, but not necessarily the primary cause of death.” This definition allows for the attribution of death to be labeled as “influenza-related” even when influenza is not the cause or even a contributing factor simply because of its presence in a terminally ill or dying person. Because the CDC has been much less forthcoming with the data regarding flu deaths or even influenza-related deaths, the exact numbers of influenza-related deaths are difficult to determine. From searching the CDC website, the only readily available set of numbers that directly referenced the number of influenza-related deaths came from the year 2009-2010 which listed the number of deaths at 2,125. However, the National Vaccine Information Center compiled a chart of Pneumonia and Influenza deaths dating back from 1940 and ending in 2010. The deaths are separated by those attributed to Pneumonia and those attributed to Influenza. Nevertheless, it should be pointed out that the deaths attributed to the flu are in fact influenza-related deaths, not deaths directly attributed to the flu virus. The numbers for the years 1998 - 2010 are listed below. With this in mind, when examining the confirmed cases of death confirmed to have been caused by the flu, the average number is generally much lower than 36,000 flu deaths per year cited by medical “experts.” Yet the numbers listed above include “Influenza-related” deaths, not flu deaths directly traced back to the flu itself. In fact, the real numbers of flu death are vastly lower than even 1,000 people per year. In the last fifteen years, not one flu season has been recorded as having contained even 100 flu deaths during the course of one year. Indeed, in the last fifteen flu seasons, only 216 people have died as a result of the confirmed flu. This is quite a different breakdown of flu deaths than that which is presented in media reports. For this reason, it is important to note that either pneumonia or some other illness is responsible for the other deaths included in the calculations. A drop from 36,000 dead to, in some cases, single digit figures is the result of an overwhelming misrepresentation of the facts to say the very least. Thus, with the above information in mind, it is important to take a closer look at the statistics. Below are listed the last 15 flu seasons with the number of dead who are tied directly back to the flu. As you can see, the numbers are hardly cause for panic. Very little can be added to the statistics as presented above beyond pointing out the misleading and false nature of the propaganda machine operated by the pharmaceutical, vaccine, and medical industries via their mouthpieces in the mainstream corporate media , particularly regarding the nature of the dangers of the flu virus and the need to vaccinate. For too many years, the American people as well as the people of the rest of the world have been stampeded into to taking toxic injections and dangerous vaccines in order to protect them from a highly inflated bogeyman. While the flu is no laughing matter, the projection of it as the new Black Plague that will kill us all is the opposite of what is needed to improve public health. The overwhelming majority of people who are diagnosed with the flu only have a flu-like illness to begin with. Regardless, even if you contract the flu, it is important to remember that well below 100 people die of the virus every year. 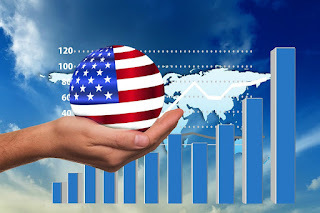 Thus, as the hype and hysteria ramp up at the beginning of flu season and continue throughout the subsequent months, it is helpful to remember the numbers and statistics provided in this article, so as to avoid succumbing to the panic such propaganda is attempting to produce. To an unvaccinated person, Flu season does not equal imminent death, a justification for panic, or even a reason to be overly concerned (assuming that person has a healthy immune system and other commonsense health precautions have been taken). To a vaccinated person, however, the dangers from lurking viruses may be the least of their worries. Please note: These numbers were a result of the calculations of the figures provided by the CDC and two sets of numbers as calculated by Dr. Sherri Tenpenny. These numbers, although accurate, should be taken as an approximation. The actual numbers may be slightly higher or lower by a measure of hundredths or tenths of decimal points. These numbers, however, can be confidently used as a representation of the amount of flu infections during these years.